Close to 4,000 members of the Canadian Expeditionary Force were of Aboriginal descent, a very high number given the limited civil rights afforded to Aboriginals in the early twentieth century. This number is especially striking given the problems that many Native men faced when attempting to enlist in the war. When war broke out in 1914, Canada did not have a clear military policy and the Militia Act of 1904 was especially ambiguous regarding the role Aboriginals were to play in the military. Much of this ambiguity was due to the idea at the turn of the century that Aboriginals were “a disappearing race.” Because at the state of the war, recruitment centres were flooded with volunteers, local recruiting officers could afford to be very picky, and most agents would have relied on their own personal prejudices against Natives when considering their attempts to enlist. This paper will build on much of the scholarly research done on Native Canadian contributions to the war effort, but focus purely on the early days on the way and the problem of recruitment by looking at popular images of Aboriginals in Canada at the time. Within these popular images includes the reoccurring tropes of the “Nobel Savage” or the “Bloodthirsty Redskin.” Local recruiting officers would have accepted or rejected Native recruits based on personal prejudices, which would have been necessarily informed by the dominant images of Native Canadians at the time. The response to the paper was largely positive and I fielded some really engaging questions from the audience. The question on everyone’s mind however, seemed to be “Why did they fight?” It is a difficult question to answer, and can be applied to almost everyone in the First World War. The truth is I don’t think we’ll ever really know. Native Canadian men enlisted in the First World War to show their support for the crown, to better their own communities, for a sense of adventure, and for many other reasons that we may never be aware of. Not knowing the reasons for enlisting makes remembering the war difficult. We remember those who fought and died, but do we remember what they died for? With the case of the First World War it is quite tricky and the reasons for fighting were not as clear as they would be 20 years later. As many others who spoke mentioned we need to re-evaluate what we remember on November 11th. Yes we remember the Canadians that died in battle, but we also need to remember that they died to ensure a lasting peace. Peace. That is what the remembrance of the First World War, and any war for that matter, should be about. This entry was posted in Special Post and tagged Aboriginal History, Conference, Memory, Native Canadians, Peace, Remembrance, World War One on November 2, 2014 by kwils3. There is no doubt that Ken Follett is a master of the sweeping historical narrative. His previous projects, Pillars of the Earth, and World Without End, follow the lives of families and their descendants through the building of a Cathedral in the 12th century. As this period of history is not one of my favourites, I had a hard time with these books. His new trilogy, however, I find quite interesting and fun to read. Keeping with his style of following families through history, Follett, in Fall of Giants, follows five families through the events of the First World War. The story moves chronologically jumping around from the five different families he introduces at the start, The Dewar’s from the United States, the Fitzherbert’s who are members of the English aristocracy, the Williams’, a Welsh mining family, the Von Ulrich’s who are German aristocracts, and the Peshkov’s, a pair of Russian brothers. Follett follows these families as their paths cross through the events of the First World War, and continues to tell their stories in Winter of the World, which takes place in the years between 1920-1945. Is third book plans to follows these families through the events of the Cold War. 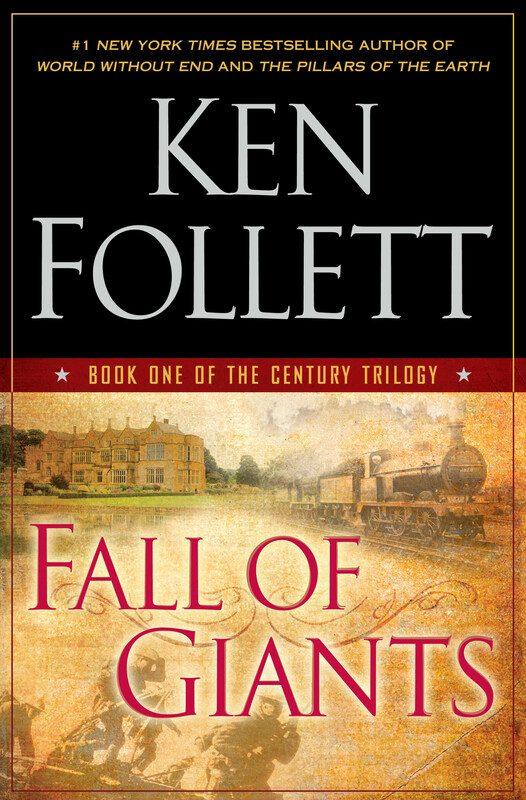 Through Fall of Giants, Follett captures perfectly the romanticism and tragedy of the First World War. The relationship between the English Earl Fitherbert and the German Walter Von Ulrich, is especially poignant as the two go from friends and schoolmates to fighting on opposing sides of the war. 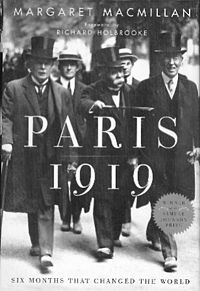 The aristocracy in Europe often had connections to one another, and many of those ties were severed during the First World War when loyalty to one’s country had to take the place of loyalty to one’s class. Winter of the World, was a bit of a let down for me, and maybe just because Follett tried to do too much. In the second instalment of this trilogy Follett tries to detail the events of the Roaring Twenties, the Great Depression, The Spanish Civil War, and the Second World War. He stretches himself a bit too thin and some of the plot lines seems forced. I have one more gripe with Follett and that is his portrayal of female characters. While the female characters in these books are strong women, they often seem one-dimensional and lack depth. The characters of Maud and Ethel, while both being fiercely independent, tend to still fall into stereotyped stock characters. Maud is a woman trapped by her class, while Ethel is a servant in the Great House and falls into trouble. It’s a minor fault of his, and I may be the only one to feel this way. These books both provide an enjoyable trip through history and I am looking forward to the third installment. This entry was posted in Reviews and tagged Book Review, Fall of Giants, History, Ken Follett, Winter of the World, World War One, World War Two on March 25, 2014 by kwils3.